From illegality to a role in government: a trade union timeline. 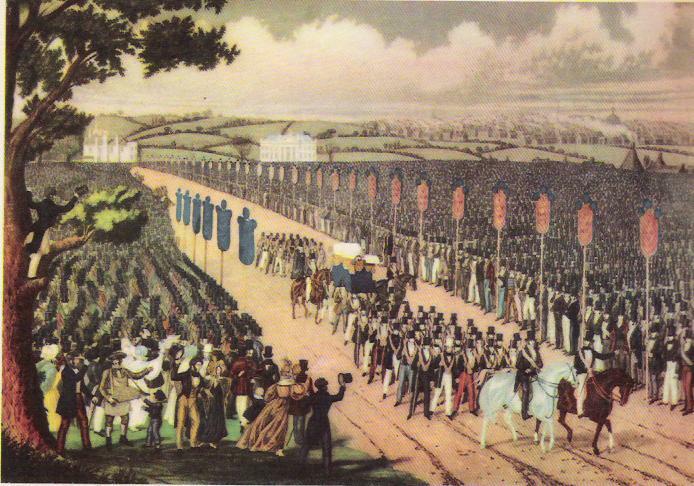 Demonstration at Copenhagen Fields near King’s Cross in London in 1834 to protest at the sentences of transportation on the Tolpuddle Martyrs. 1920 Trade union membership at 8.3 million; Amalgamated Engineering Union formed, bringing together 10 engineering unions. 1980-1993 Six Employment Acts restrict industrial action by requiring pre-strike ballots, outlawing secondary action, restricting picketing and giving employers the right to seek injunctions where there is doubt about the legality of action. 2013 Frances O’Grady becomes general secretary of the TUC – the first woman to hold the post.